When 650 wellness experts from 50 nations gather to debate the future of wellness, a uniquely informed and global view of trends unfolds. That’s what transpired at the recent Global Wellness Summit (GWS), which brought together leaders from the medical, travel, spa, beauty, fitness, nutrition, technology, financial and architecture worlds to debate where wellness is headed. Today, at a press event held at Hearst Tower in NYC and hosted by Good Housekeeping, the organization released their top wellness trends for 2019 (and beyond)—the provocative new directions they feel will have the most meaningful—and not fleeting—impact on the $4.2 trillion global wellness industry. It’s striking how little attention has been paid to the intersection between “wellness” and “fashion” beyond the familiar story of athleisure disrupting the market. And how few people that are wellness/eco-minded (who have a mini-stroke if served a plastic straw) have really grappled with their overconsumption of clothes and the insanely destructive environmental impact that has. Or pondered the negative ways that fashion impacts their wellbeing or imagined the positive ways that it could. It’s impossible to overstate the disastrous effect that the “take-make-dispose” fashion industry has on the environment and humans: workers paid 50 cents an hour, three in five garments bought getting chucked within a year, and an industry spewing 1.2 billion tons of greenhouse gas emissions annually. If nothing changes, fashion will eat up over 25 percent of the world’s entire carbon budget by 2050! Every touch-point in the cycle—how clothes/shoes are designed, made, acquired, cared for, experienced and disposed of—has been broken. But 2019 will be the pivotal year for change, with a huge wave of sustainable, ethical, intelligent, healing, more inclusive, and meaningful fashion on the rise. A more “well” fashion market and mindset is ahead. We’ll see radical innovation in sustainable textiles, with clothing/shoes made from recycled plastic bottles, algae, mushrooms and food waste. More vegan, cruelty-free fashion, with alt-fur, alt-leather, alt-everything collections that are trendier than the real thing. New AI and 3D design technologies mean the future is an on-demand, custom-created-for-you wardrobe (vs. spray-and-pray, generic overproduction). If manufacturing is a mean, faceless business, more ethical fashion brands will provide transparency into how they treat—and even celebrate by name—the artisans that created your wardrobe. Buy-and-trash culture is giving way to a recycle and re-wear revolution: from brands rewarding you for bringing in all those dead dresses to a surge in online luxury used fashion platforms and those that let you rent your entire wardrobe to a vintage renaissance. We’ll even see all-digital fashion collections designed to be exclusively strutted online at social media sites. The next-gen of smart, connected and healing clothes that actively boost your wellbeing is straight ahead. New technologies mean that fitness wearables will move seamlessly into clothing while self-regulating fabrics will adapt to all kinds of environmental and bodily changes (heat, cold, air flow, movement, UV rays, etc.). We’ll see antibacterial clothes that clean themselves, collagen-infused clothes that moisturize your body all day, clothes that broadcast your mood, pajamas that help you sleep—even clothes weaving in “ancient wellness,” such as lines suffused with Ayurvedic medicinal plants. And more brands will rip off the constricting “labels,” such as “plus-sized” and “man/woman” to create clothes that are truly inclusive around body shape and gender identity. 2019: the year more people trade in the addictive endorphins of manic fashion consumption for the serotonin (true happiness) of choosing clothes that are sustainable, ethical, actively healing and meaningful—one of the most impactful wellness trends we've ever seen. Overtourism—when a crush of tourists overwhelms a destination—is the #1 issue in the travel industry today, making headlines everywhere. With the growth in wealth worldwide, international travel is exploding, with annual trips jumping from 500 million in 1995 to 1.3 billion today. The problem is that this tourism expansion is hyper-concentrated: Roughly half of all travelers go to just 100 global destinations; everyone wants to see the Mona Lisa and Machu Picchu, the Ginza in Tokyo and Venice’s canals. The damage to those destinations’ infrastructure and environment (and to their residents’ lives) is a terrible wellness issue: from pollution and noisy, garbage-filled landscapes to the destruction of local heritage and culture to pricing locals out of the property market. And it’s not well or pleasant for the tourist, as you know if you’ve ever jockeyed for a selfie with 10,000 other manic people swarming the Trevi Fountain. It will take a full-court press of solutions from governments and tourism boards—and a real consumer mindset change—to attack overtourism and start spreading travelers to alternative regions and attractions. Wellness tourism will be one key antidote: Not only are the majority of wellness resorts, by nature, in nature (off the crowded, beaten path) but now a growing number of national tourism boards are smartly launching initiatives to combat overtourism (and reduce seasonality) by developing new wellness destinations. 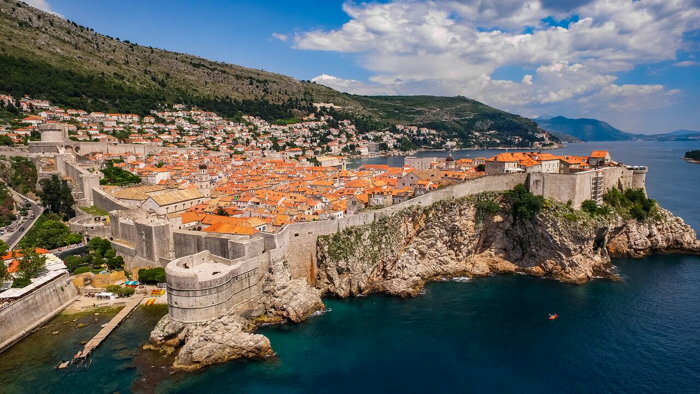 To fight the nightmare of overtourism in Dubrovnik, Croatia, the country is developing a Wellness & Spa Tourism Zone in Varaždinske Toplice, an area with centuries of hot springs bathing and other wellness traditions. Japan is developing new wellness tourism routes to coax travelers away from the congested Kyoto-Osaka-Tokyo corridor, such as the Dragon Route in the Chebu region, rich in history and hot springs, and the village of Misugi kicking off a wellness travel initiative that lures travelers for stargazing, forest bathing and beer onsens. Many more examples are underway, and it’s going to mean more unique, newly developed wellness destinations for travelers. As cities get bombarded by tourists, more travelers will crave healing, serene oases in metropolises, so another major trend is the rise of the urban wellness resort. It seems counterintuitive, but some of the world’s top wellness travel brands are moving beyond their roots in idyllic locations to set up shop in big cities. And by “setting up shop” we mean deep, mindbogglingly comprehensive wellness programming served up to both hotel guests and locals. The first One&Only Urban Resorts will soon open in Dubai, a “well” challenge to what a city hotel could be; famed Balinese wellness resort Fivelements will launch a creative urban wellness retreat in Hong Kong this year. Six Senses opens in NYC in 2020, where its first Six Senses Place (bringing together hotel guests and local members in a social wellness community) will offer a dizzying menu of beyond-cutting-edge wellness approaches. Meditation will evolve from a singular to a plural practice, from a generic concept to understanding specific types and their unique brain impacts, just as this explosive market blooms—like yoga and boutique fitness before it—into many varieties. If it sometimes feels like we’ve reached peak mindfulness and meditation, we haven’t. After years of talk, now people are actually doing it (i.e., it’s the fastest-growing health trend in the US). But the growth in people practicing has been matched by profound confusion around the very concepts of “meditation” and “mindfulness” (which also infects medical studies): They get used interchangeably when the research shows that, while there are hundreds of meditation breeds, there are three core types/mechanisms: 1) focused attention (clearing the mind of thoughts), 2) open monitoring (which includes mindfulness meditation), and 3) self-transcending (involving silent mantras). Each is a different practice, activating different brain waves and neuroplastic changes and leading to different outcomes. More clinical trials will study these core types head-to-head and more people will grasp that different meditation practices can help them reach different goals—whether you’ve got a badly scattered mind or need a creative breakthrough. The future? It’s not either/or it’s yes/and—as meditation becomes a plural toolbox for mental wellness. Meditation will “go plural” in a whole other way. If you used to take that “meditation class,” now ancient and modern varieties will multiply in 2019—whether straight-out-of-Europe sophrology (marrying Eastern meditation practices with Western relaxation concepts) or Kundalini yoga (an ancient, spiritual mash-up of chanted mantra, breathing techniques and movement). “Mindful fitness” brands will surge, where you move with intention or where workouts work in meditation sessions—just as mindful spa experiences will get more creative. More mindful apps and new drop-in meditation studios and wellness centers/clubs (all booming) will become one-stop shops with jaw-droppingly full meditation menus. A flurry of “meditation technologies” will boost—as well as hack—the meditation experience, using tech-like biofeedback, EEG/brain wave tracking and transcranial direct current stimulation. The Muse 2 headband tracks your brain patterns, heartbeat and movement to optimize your meditation session in real-time while Healium, a virtual reality headset, translates your brainwaves and heartbeat into personal visual meditations. The wellness market always pushes the “next” button (“like, meditation is so 2015”). But the meditation research and market is extremely young and just approaching an adoption and conceptual tipping-point (and there’s no expiration date on 5,000-year-old solutions). The future is meditations, more types tailored to what you need most. As people continue to be overworked and overwrought, they will answer the call of nature, so to speak. And it’s a call that comes from deep within, according to scientists who have been studying this. Nature Deficit Disorder has taken hold, and it’s real—this 24/7, digitally dominated, Instagram-able world is depriving humankind of some very basic, very important nourishment that comes from being outdoors. Much has been written about the evils (and glories) of technology, but the resulting dissociation from our natural surroundings leaves us emotionally and physically worse off. We are bereft of nature. Our bodies—and our minds—need nature. And as more evidence becomes available in mainstream media, more people will seek this “treatment,” and more physicians will be prescribing it. And the price is right, as it doesn’t cost anything to take a walk outside. A growing number of doctors are “medicalizing nature” because of the medical evidence for its benefits: from the National Health Service in Shetland, Scotland, recently rolling out a whole “nature prescription” program to the pioneering Washington, D.C. program DC Park RX started by Dr. Robert Zarr to Dr. Qing Li at Nippon Medical School in Tokyo, whose work on the eye-opening benefits of forest bathing have helped create 62 designated forest bathing therapy centers in Japan used by 5 million people a year. The medical evidence for doses of nature is wide-ranging, from a study by the European Society of Cardiology finding that a brisk walk outdoors daily for 25 minutes could add at least three years to your life to others finding it helps repair DNA and reduce the risk of heart disease, diabetes, osteoporosis and certain cancers. It’s powerful medicine for our minds too, with studies indicating walks in nature engage the “default mode” brain network associated with stress-reduction and a boost in cognition, creativity and short-term memory. The sense of smell is having a wellness renaissance. Once dismissed as the least relevant of the five senses, today, evidence-based studies around scent’s powerful impact on our physical and emotional wellbeing are being released fast and furiously. At the same time, new aromas are being discovered, including Glossier You’s personalized perfumes to enhance your own skin’s scent. New scent-based applications and products are being announced, such as Aeroscena’s gel pods diffusers that are used not only for feel good, functional scents in homes and offices but are also being tested as alternatives to pharmaceuticals in medical trials. And there is much innovation in how we harness the power of scent, such as Scentee’s smart diffuser that lets you change up scents from your smartphone. There are candles and oils to evoke a precise sense of place (to trigger positive memories) and scents used as mental wellness supplements (Nue Co. is marketing an anti-stress supplement as fragrance). Art installations, such as Jean-Marc Chaillan’s Mood Cloud, are exploring the not too far-fetched concept of melding wellness with big data, using microsensors that measure stress levels and showering calming aromas over stressed-out parts of a city. There’s simply ever more research that scent impacts cognitive health, such as the discovery that tasting and smelling wine works the brain harder than a math problem. Scent is being used as no-cal flavoring (SZENT is already selling water flavored with fragrance); restaurants are creating scent-based menus; and luxury hotels, including a recently opened Fendi hotel in Rome, are empowering guests to personalize their room’s aroma from a scent menu. As studies show that smell registers in our brains first—before sight, sound or touch—more marketers are employing scent to make us spend more time and money, while all kinds of product designers are focusing on scent as they bring new products to market. NanoScent, an Israel-based start-up, is trying to turn our smartphones into “scent catchers” and has developed a matchmaking app that uses scent to help identify suitable mates (based on the same technology that detects breast cancer by recognizing changes in the tissue’s smell). We expect that the neuroscience of scent will become more pervasive in everything we do, and fragrances will be used in ways we would never have dreamed of—both in public and personal spaces. No country will have a bigger impact on the future global wellness economy than China, suddenly an economic, political and tech powerhouse. To grasp this impact, you have to expand your brain’s notions of scale. With a population of 1.4 billion, China’s middle class will skyrocket from 430 million today to 780 million by 2025. The country already drives more than half of all global e-commerce. Wrap your mind around China’s outbound travel growth, which has expanded 20-fold since 2000—now at 145 million international trips annually, to rise to 200 million in two years, and then doubling to 400 million by 2030 (when China will represent 30 percent of the entire international travel market). China is undergoing a wellness (and beauty) revolution; one could cite hundreds of stats. Over 70 percent of its middle class exercise regularly and purchase organic food, 104 million Chinese have at least one fitness app on their phones, and China accounts for 41 percent of all global cosmetic procedures. Chinese tourists will rewrite the wellness travel market: They’re now rejecting the old shopping/sightseeing tours to embrace authentic cultural and wellness experiences. (China is the fastest-growing wellness tourism market, jumping to third globally in lightning-fast time). With overpopulation and record-high pollution, the wellness real estate market is booming (now 2nd globally) with amazing projects, such as Liuzhou Forest City with its smog-eating facades covered by nearly 40,000 trees. The wellness boom in China is being driven by forces like the roaring “she-conomy” (incredible growth in women’s spending power) and the fact that so many more Chinese are now seeking their authentic roots and a spiritual purpose in life. The country is also facing a health crisis—from an unsupported aging population to ballooning obesity rates—and the government has launched a super-ambitious “Healthy China 2030” initiative with wellness targets such as having 530 million more people take part in regular exercise. China’s indigenous wellness traditions and unique destinations will increasingly grab the world’s attention, from new, authentic wellness travel destinations to its 425,000 TCM practitioners to its Buddhist and Taoist spiritual cuisine. Wellness hospitality leaders like Alila, Aman, Banyan Tree and Six Senses have recently launched sophisticated, authentic wellness resorts in China, such as Amanyangyun near Shanghai, a vast wellness destination with a unique focus on ancient Chinese culture and holistic healing. More people will seek temple getaways, where they reset their mental wellness and diet with Buddhist, Confucian and Taoist gurus. More will seek to experience TCM at its birthplace, such as at visa-free Hainan Island, an emerging TCM and wellness tourism hotspot. (TCM will be implemented by the World Health Organization in 2022, and China plans 15 more TCM destination “zones” like Hainan by 2020.) More people will become fascinated by Chinese spiritual cuisine, an extraordinarily poetic, creative and refined form of vegetarian dining. Napoleon famously said, “When China wakes…she will shake the world.” She will certainly shake the future wellness world. What we put in our bodies—whether it’s food, drink or supplements—has never been more scrutinized. Many would argue that this obsessional focus—from where our food is sourced to its nutritional content to the rise of vegan, dairy-free and gluten-free diets to the growing food tribes of keto, paleo and the like—has led to a healthier population. Not if your mind boggles every time you consider putting something in your mouth, or you’re not getting the nutrients your body needs because you’ve limited certain foods, or if your weight yo-yos every time you try the “next, best” weight loss experiment. Enter the age of personalized nutrition where science, low-cost medical testing and new technologies identify what foods are right just for us—not only for weight management but, more importantly, to boost overall health and wellbeing. This includes companies such as Habit and Nutrigenomix, which rely on blood and DNA analyses to specify what foods are right for you. Or companies such as Baze that focus solely on helping individuals meet their personal nutritional needs (appealing to specific food tribe members who are worried they aren’t getting all the right nutrients) by providing supplements based on blood work conducted every three months. New devices, such as Lumen, which uses your CO2 to measure how you’re burning fuel and suggests which foods you should eat, are now available to help you understand exactly which nutrients your body needs. AI-powered apps, such as Pinto and Calorie Mama, let you know what exact nutrients and calories are sitting on the plate in front of you. As “one-size-fits-all” health and wellness practices fall by the wayside and the understanding of epigenetics—the study of how our genes are shaped by our behavior—grows, personalized nutrition will hit the mainstream in increasingly surprising ways, such as Gatorade’s chip-enabled skin patch that measures hydration so its drinks can deliver exactly what that athlete needs. In the near future, we will know much more about what the enormous ecosystem inside each of us is telling us, including how much exercise you really need to how our bodies react to specific nutrients. Fad diet confusion, new tech, and the “power of me” will propel personalized nutrition into the mainstream. It’s difficult to present a trend with “dying” in the title; most people’s response: “Oh no, not relevant to me, I’ll skip.” It’s symptomatic of our modern death-denying culture where the (f)act of death is hidden and terrifying. If until the early 20th century people died at home surrounded by loved ones, Western medicine has since made it a coldly clinical affair in a hospital or nursing home. The funeral industry then co-opted the management of our dead, and with a decline in formal religion, healing communal rituals got lost. And two very modern forces are complicit in exacerbating the death-denial problem: a Silicon Valley biotech industry that aims to “cure death” and radically extend life—and the wellness market itself, with its endless don’t-age, never-die messages. But suddenly a “death positive” movement is here with everything around death and dying getting rethought through a more “well” lens: from making the dying process more humane to the radical reinvention of the memorial and funeral to active death exploration/acceptance practices becoming part of a mentally healthy life. Death doulas, wellness practitioners that fill that yawning gap in care between medicine and hospice, families and fear—and who are dedicated to delivering better, more meaningful and peaceful deaths—are gaining serious traction around the world. With rising evidence for psychedelic magic mushrooms’ power to relieve the emotional distresses of those facing end-of-life, psilocybin looks to be a bigger part of the future “dying well” toolbox (and researchers predict it could become legal medicine in five years). Funerals are becoming less gloomily formal, fixed and funereal and more deeply personal: from the rise of celebratory “living funerals” to the return of the creative home funeral. As people become aware of how environmentally toxic traditional embalmment, burial and cremation is, we’re seeing some seriously out-of-the-box, eco-friendly “burial” options: from mushroom burial suits lined with flesh-eating fungi that speed your return to nature to biodegradable burial egg-pods where your body/ashes grow the tree you most want to become. Research shows that denying death can cause serious mental issues, so more people are actively exploring death as a wellness practice, and many more online platforms, classes, festivals and events are meeting the hunger to just talk about it, such as “death cafes” now held in 64 countries. More people are exploring alternative wisdom and practices around death from cultures worldwide, whether guided death meditations at Zen Buddhist centers or studying the ancient Roman Stoics’ death acceptance techniques (the Stoics are really trending now) or just downloading the WeCroak app, pinging you five times daily with Tibetan meditations reminding you that you will die. People are even traveling to have the caring and spiritual death they seek.